Thanks to Together We Save for the heads up on FREE samples of Pantene, Cascade, Tide, Bounce, and Prilosec thru Sam’s Club (you do NOT have to be a member)! Go HERE and click on the “Get a Sample” link (red button on lower right hand side). You’ll tneed to login or register on P&G Solutions to get your freebies. 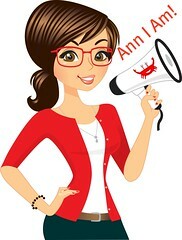 Thanks, Ann! You are always the best blog for finding out about free samples! Keep up the good work!